WELMAC is an engineering company working in various industrial fields and acting as general contractor for the supply of complete manufacturing lines and individual machinery. WELMAC offers engineering, delivery of equipment, instruction of personnel, installation and initial operation, technical assistance, and financing in one range. Our engineers have worldwide experience in very different activities. We are working for industrial companies for more than 25 years knowing requirements and special conditions very well. 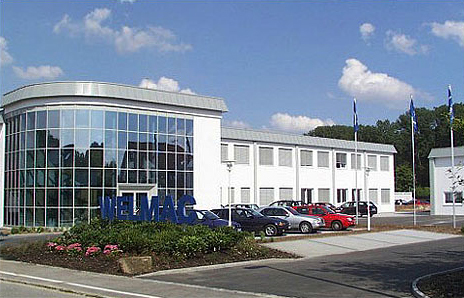 In scope of this activities WELMAC provides after sales service for equipment and installations as well as for spare parts, and secures simultaneously the modernisation of machines and manufacturing lines. Welmac has representations in Algeria, Gabon, Nigeria, Mexico, China (P.R. ), Taiwan, Korea (R.O.K.) and Hongkong.